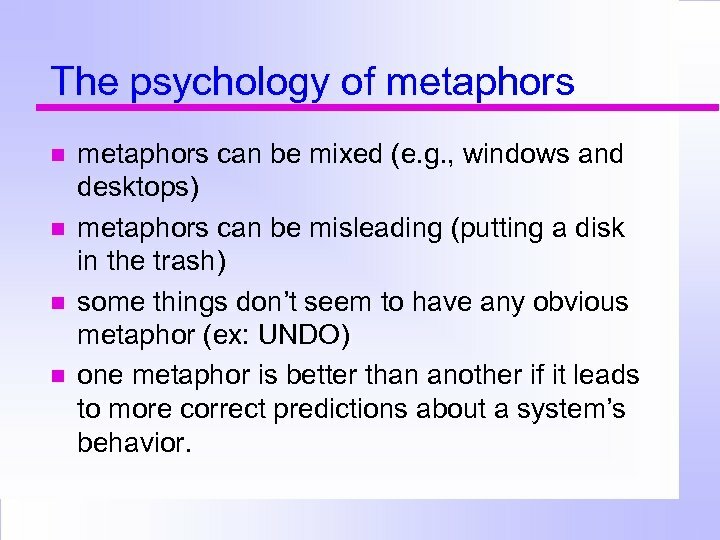 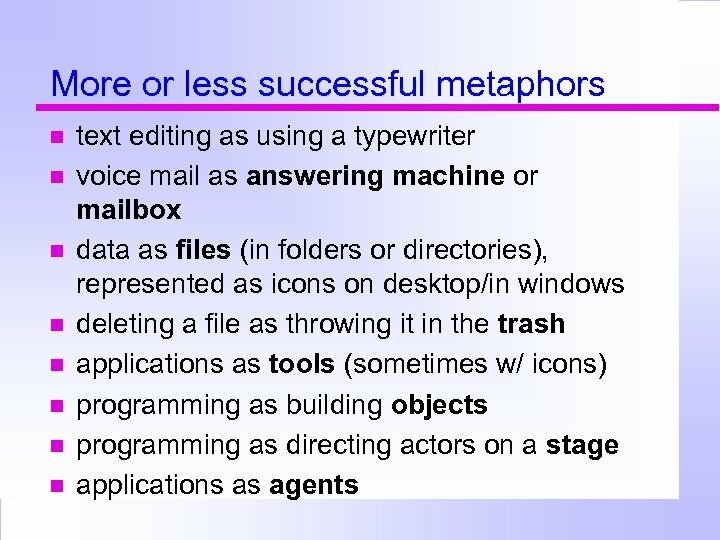 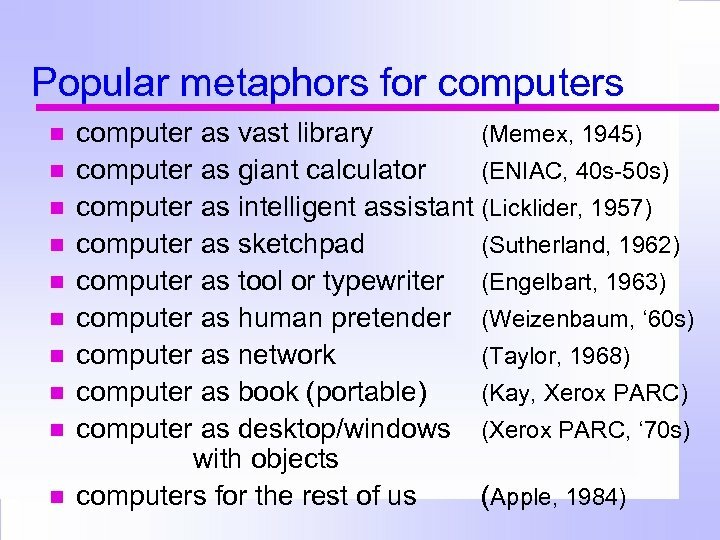 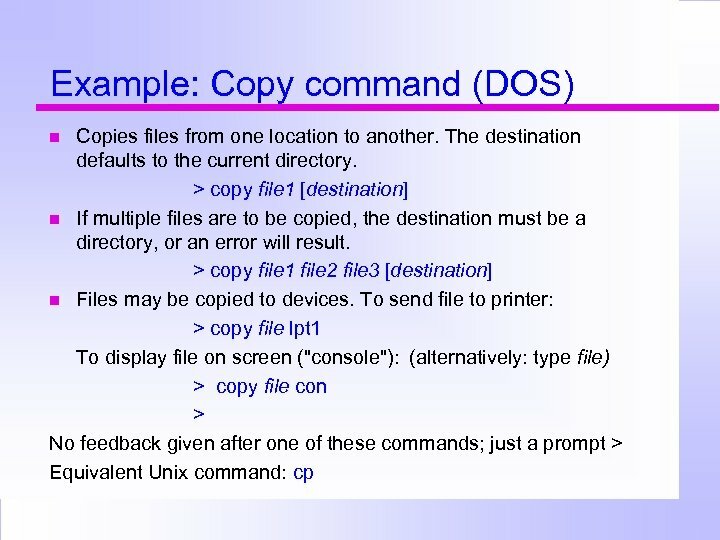 The psychology of metaphors can be mixed (e. g. , windows and desktops) metaphors can be misleading (putting a disk in the trash) some things don’t seem to have any obvious metaphor (ex: UNDO) one metaphor is better than another if it leads to more correct predictions about a system’s behavior. 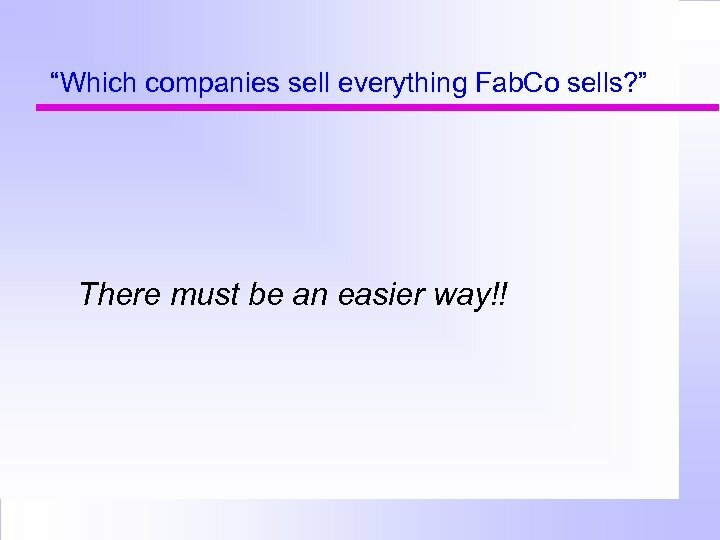 “Which companies sell everything Fab. 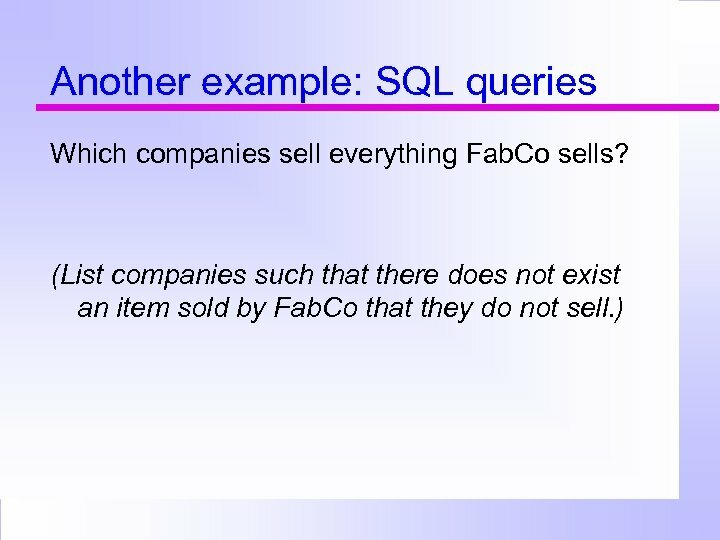 Co sells? 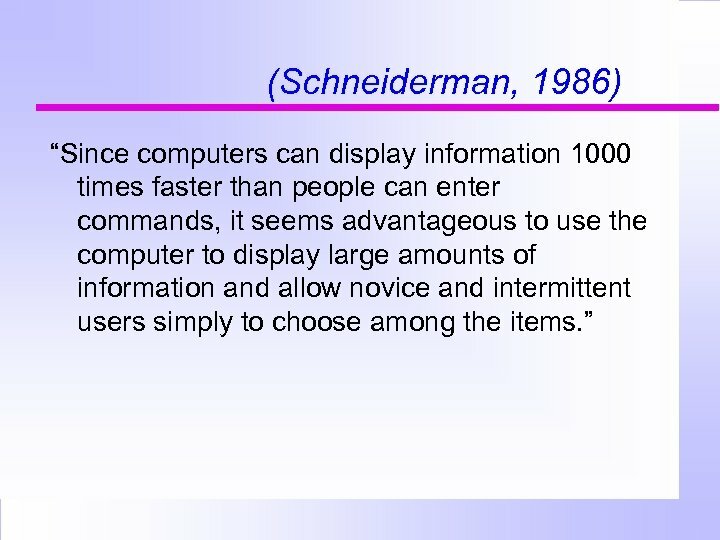 ” There must be an easier way!! 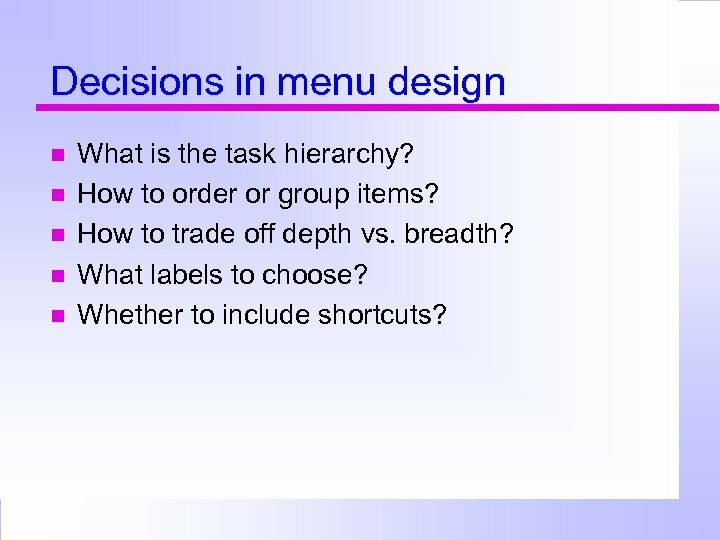 Decisions in menu design What is the task hierarchy? 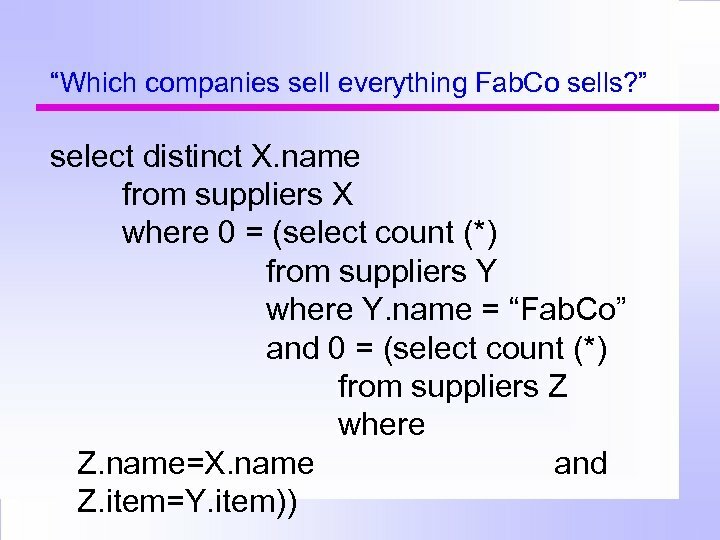 How to order or group items? 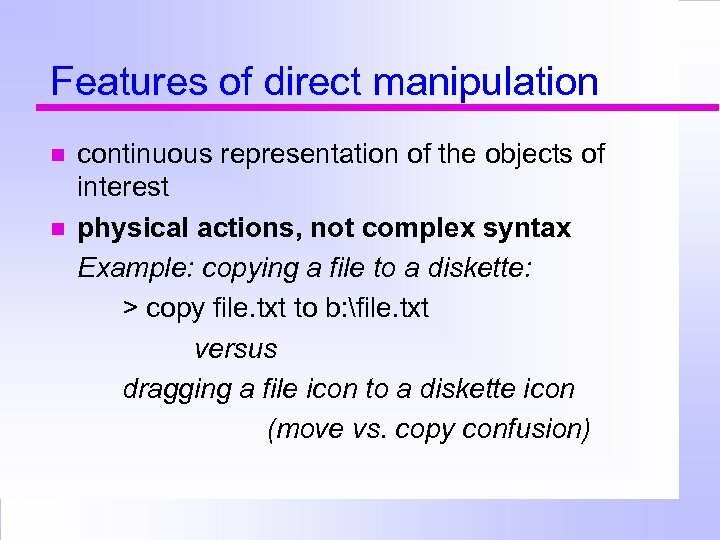 How to trade off depth vs. breadth? 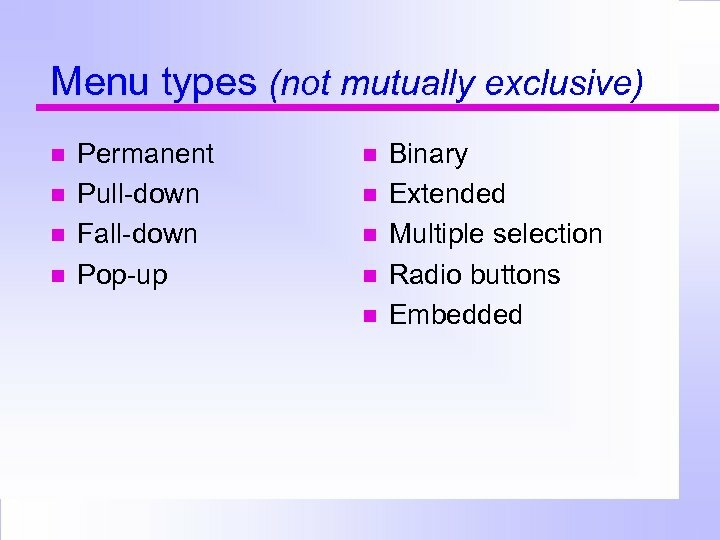 What labels to choose? 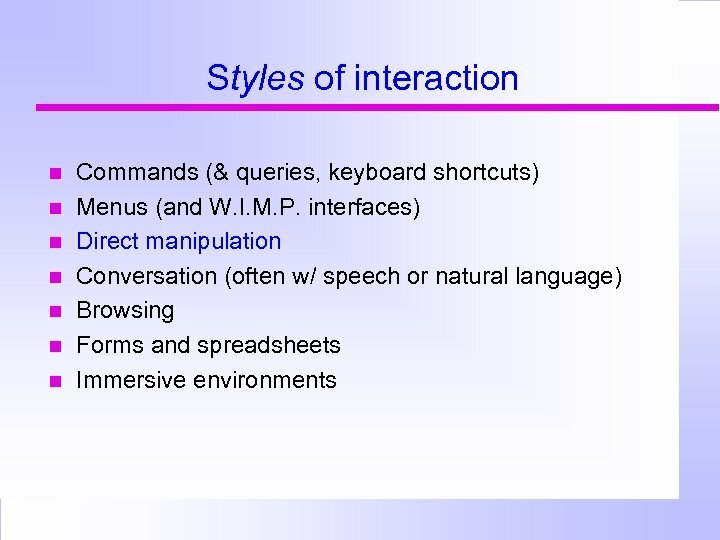 Whether to include shortcuts? 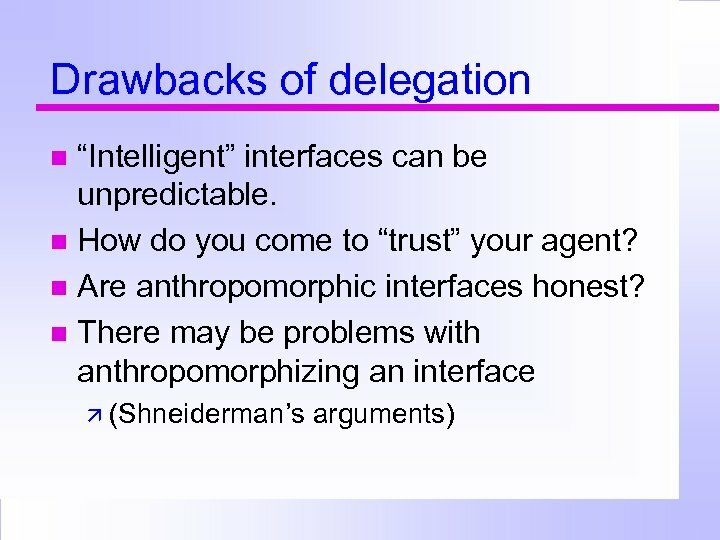 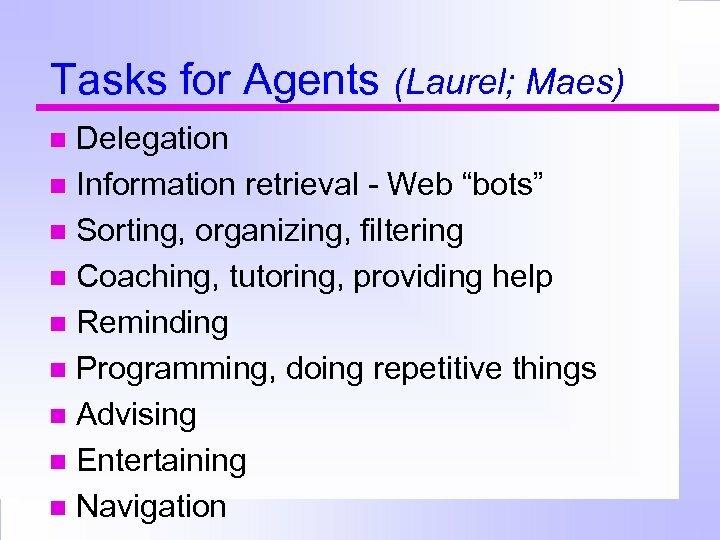 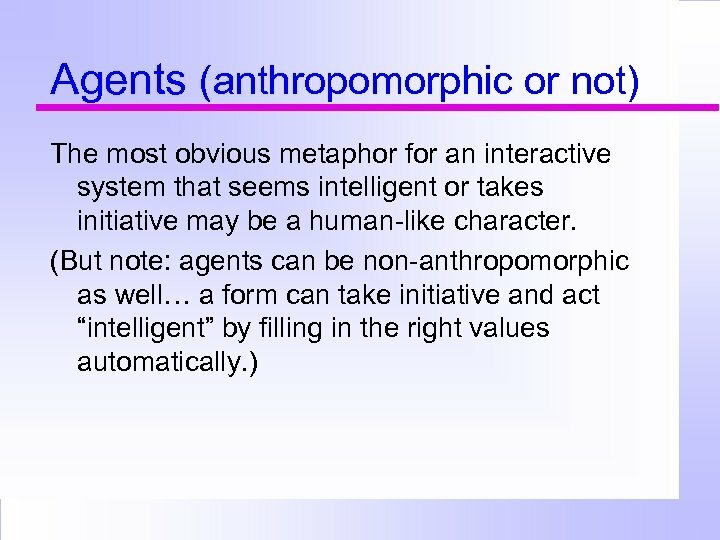 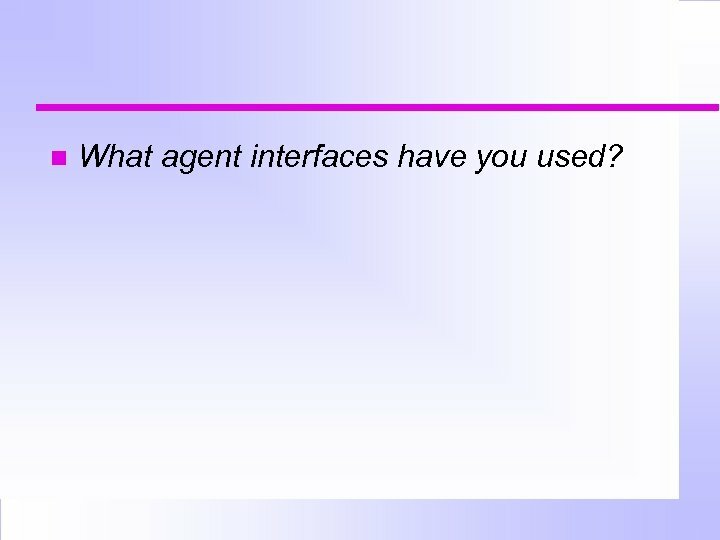 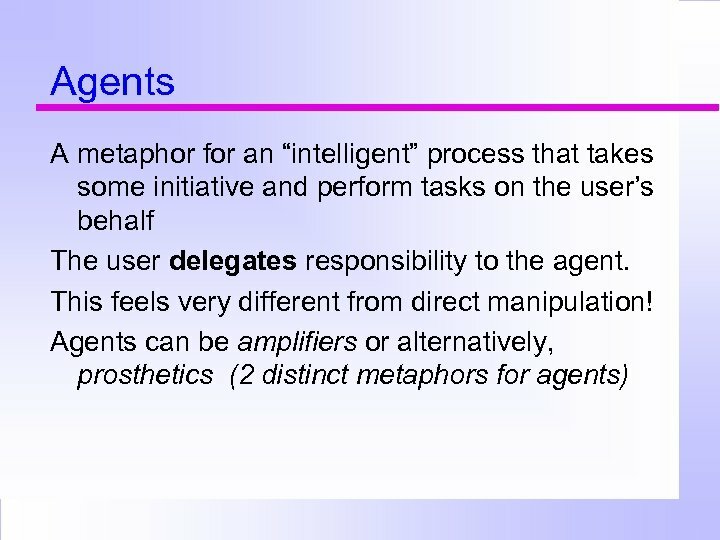 What agent interfaces have you used? 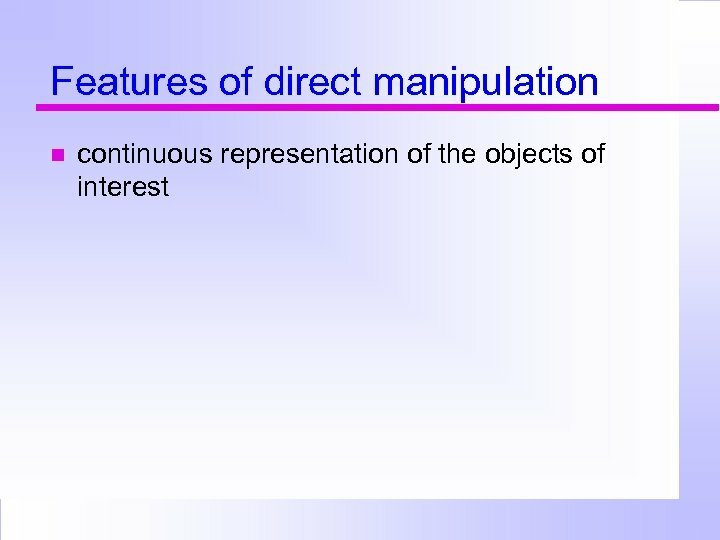 Should representations ever be anthopomorphic? 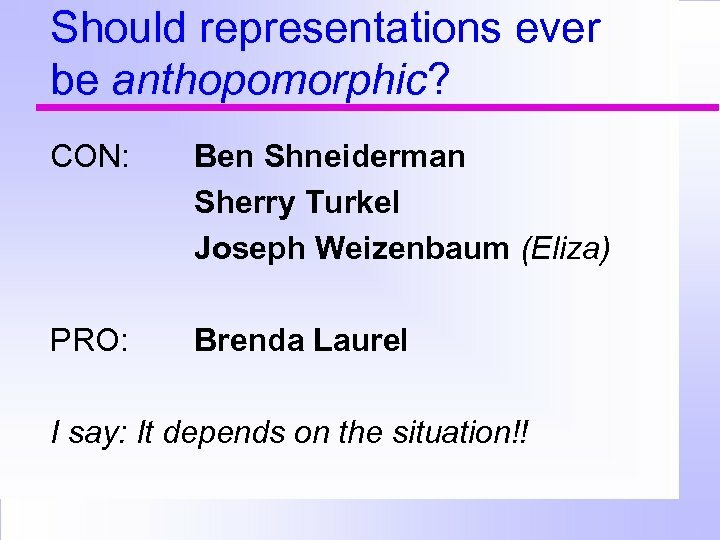 CON: Ben Shneiderman Sherry Turkel Joseph Weizenbaum (Eliza) PRO: Brenda Laurel I say: It depends on the situation!! 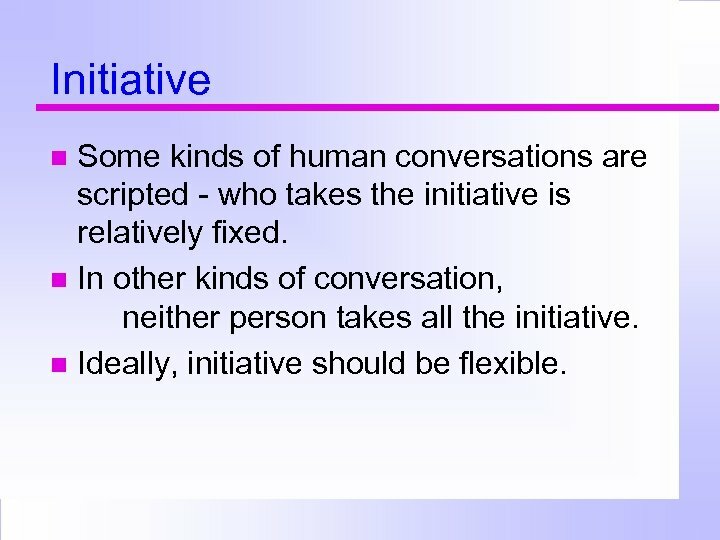 Initiative Some kinds of human conversations are scripted - who takes the initiative is relatively fixed. 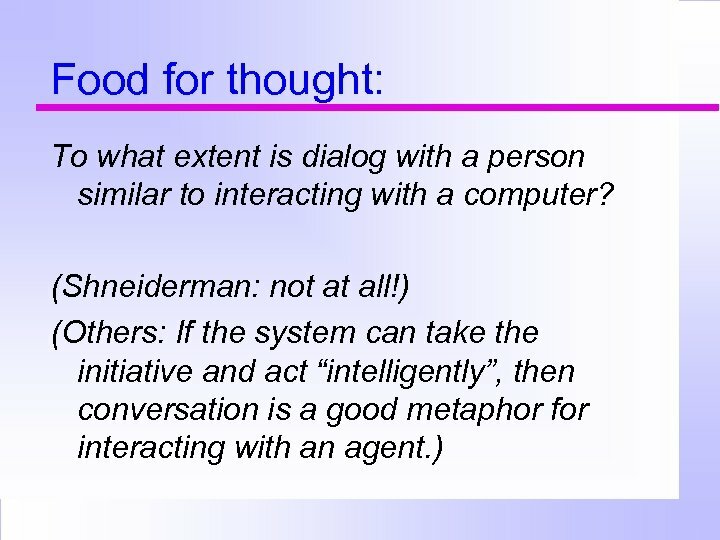 In other kinds of conversation, neither person takes all the initiative. 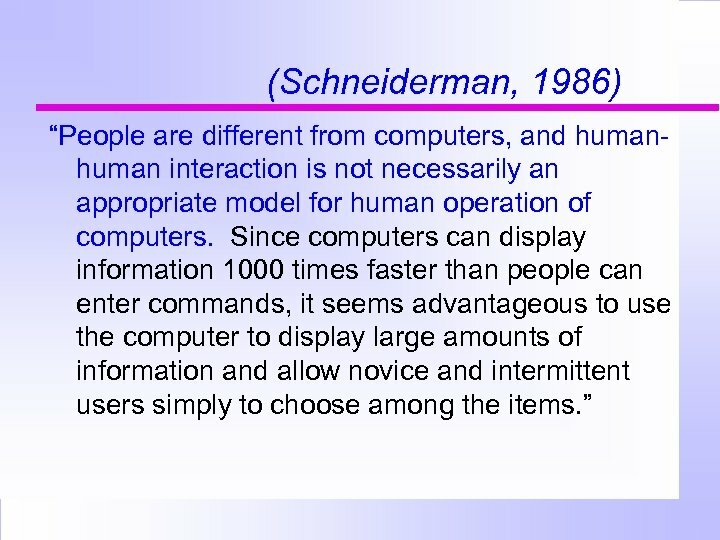 Ideally, initiative should be flexible. 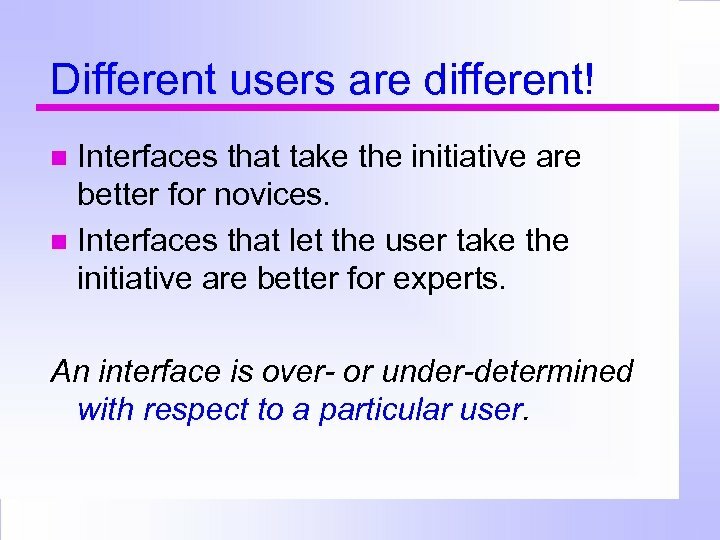 Different users are different! 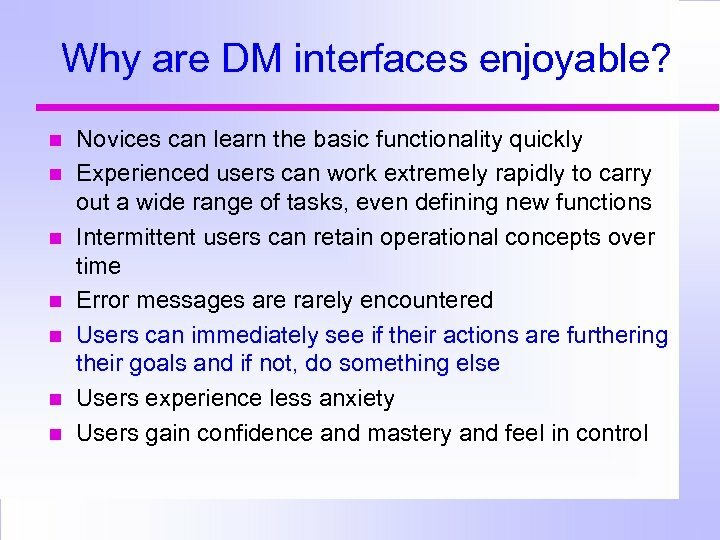 Interfaces that take the initiative are better for novices. 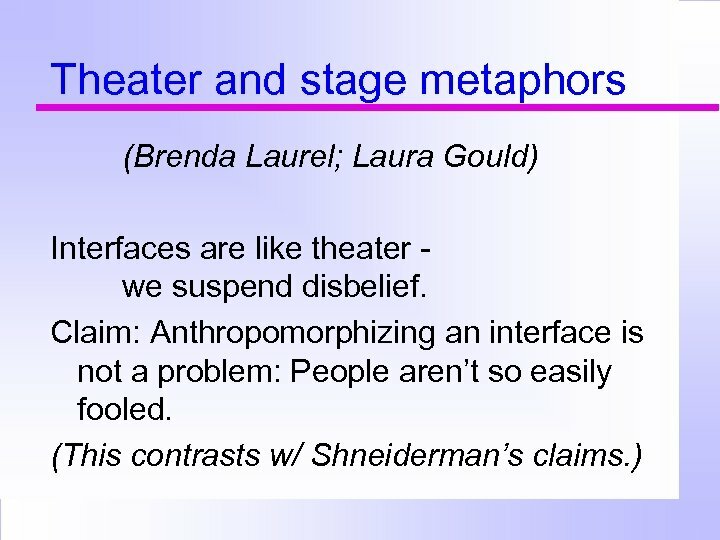 Interfaces that let the user take the initiative are better for experts. 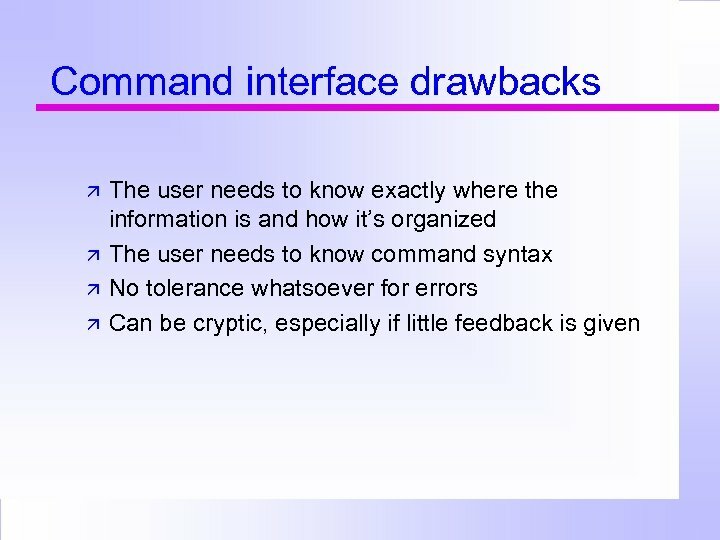 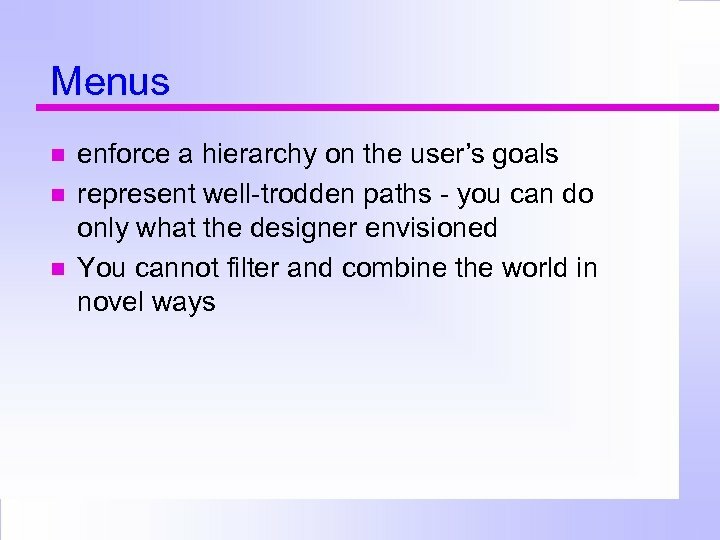 An interface is over- or under-determined with respect to a particular user. 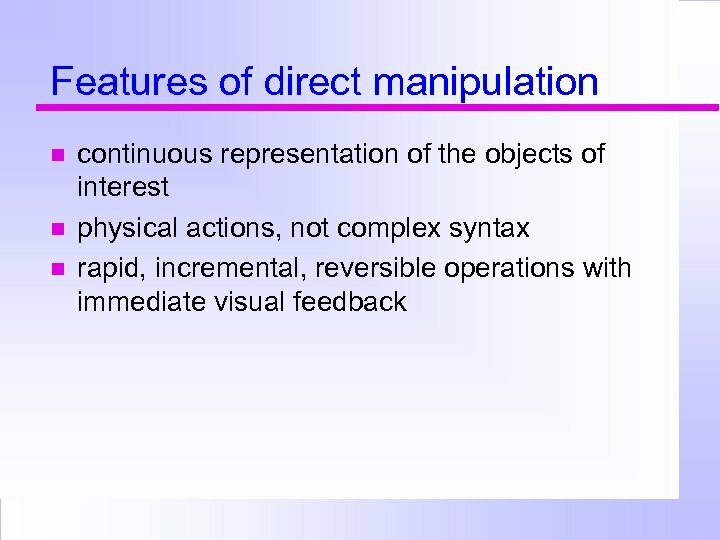 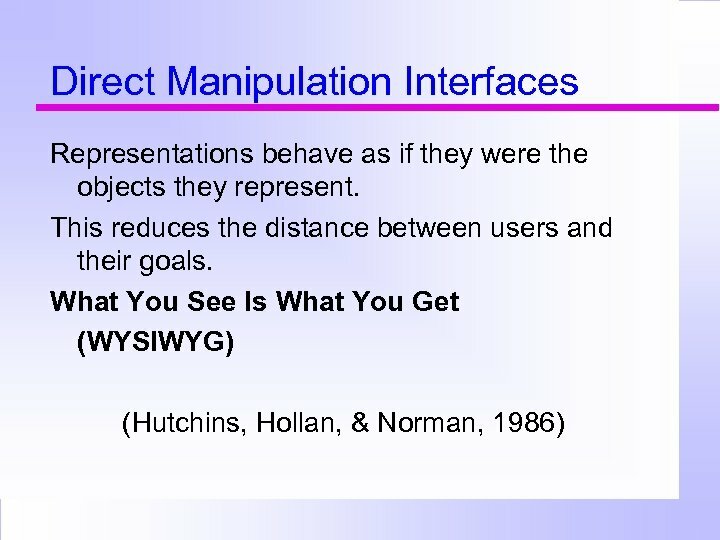 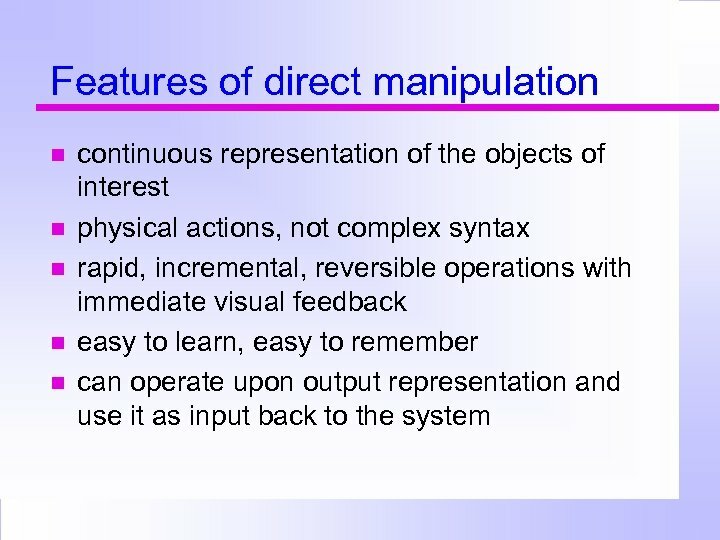 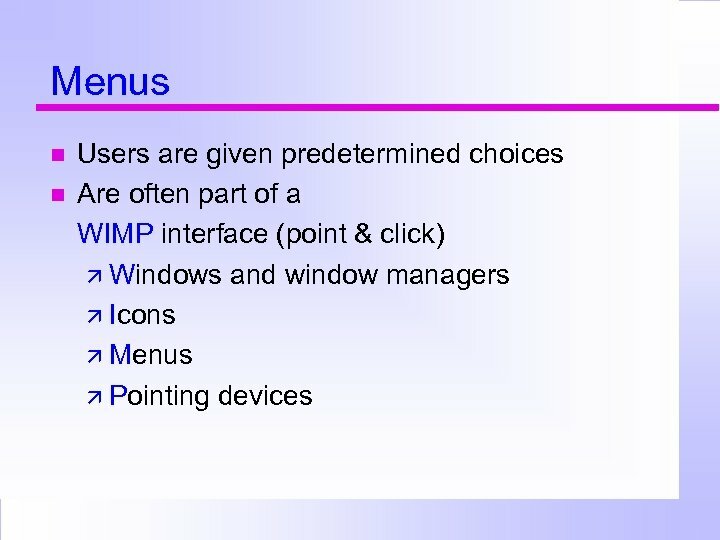 Direct manipulation and menu interfaces are sometimes (not always) overdetermined. 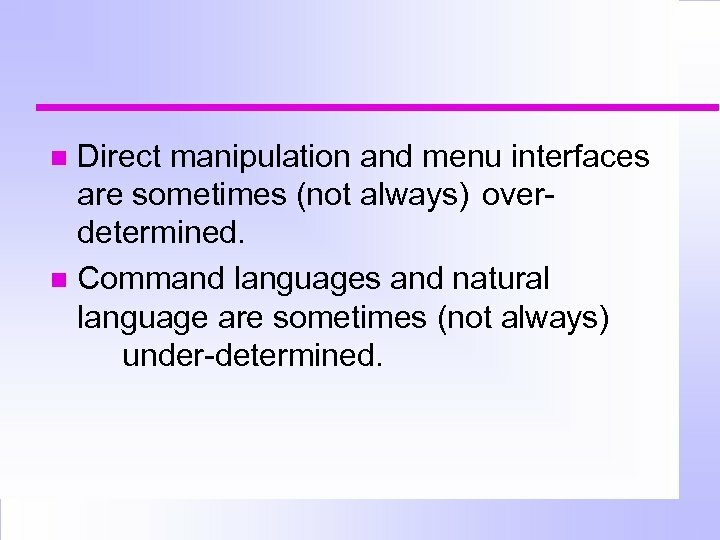 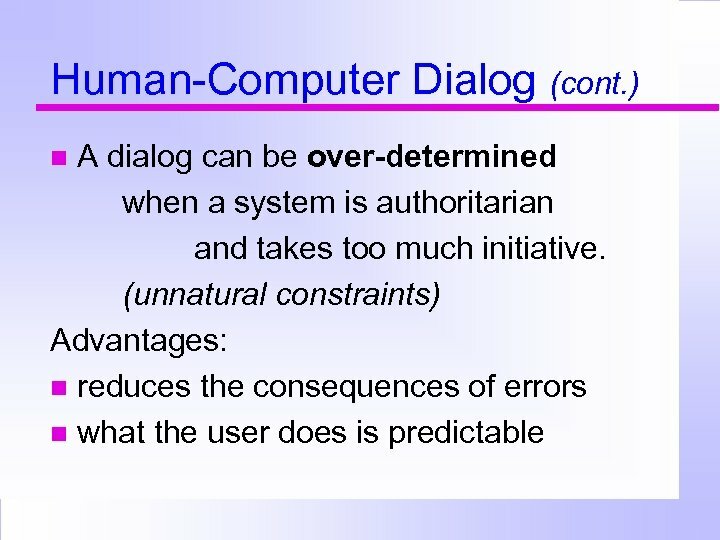 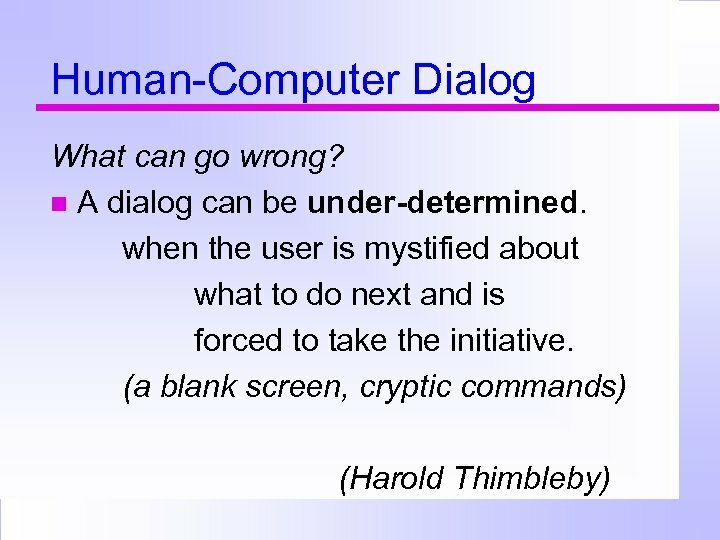 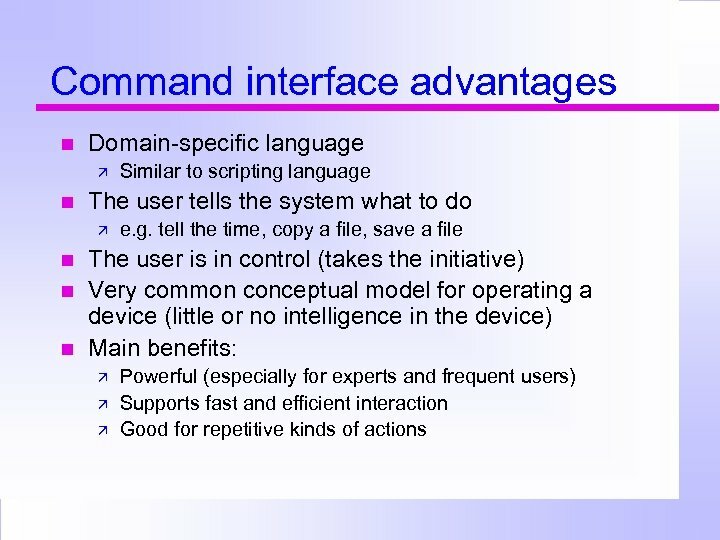 Command languages and natural language are sometimes (not always) under-determined. 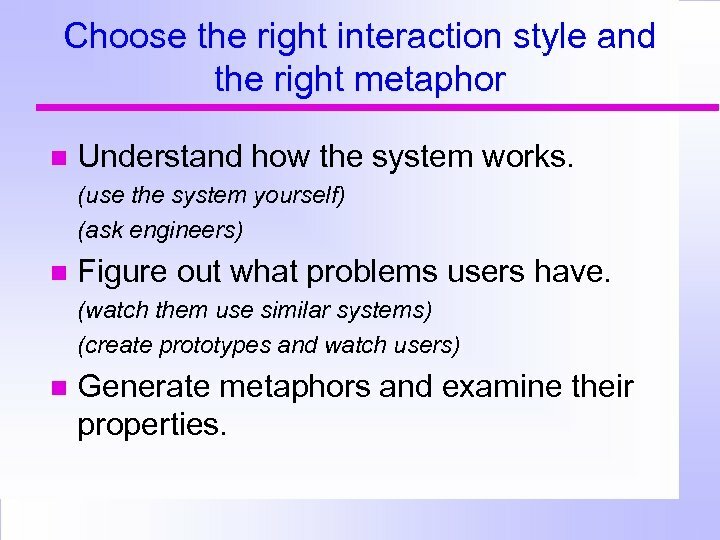 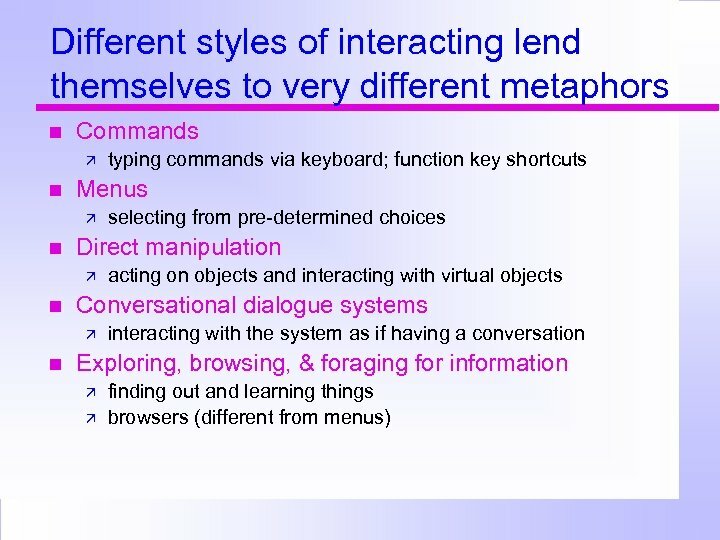 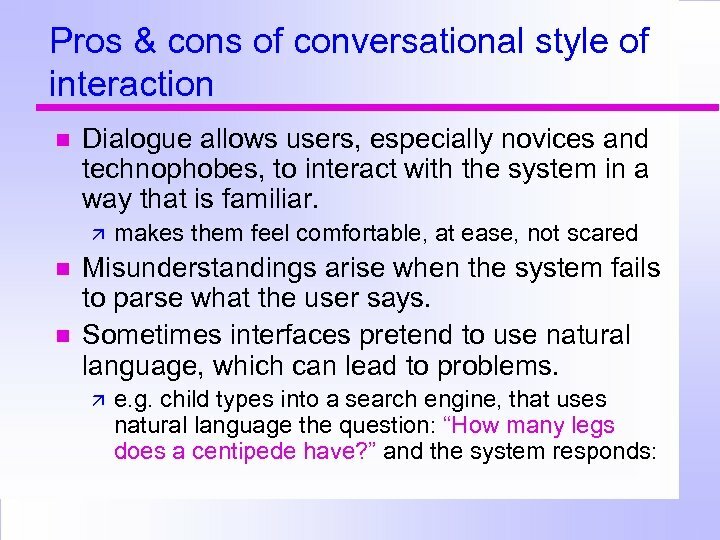 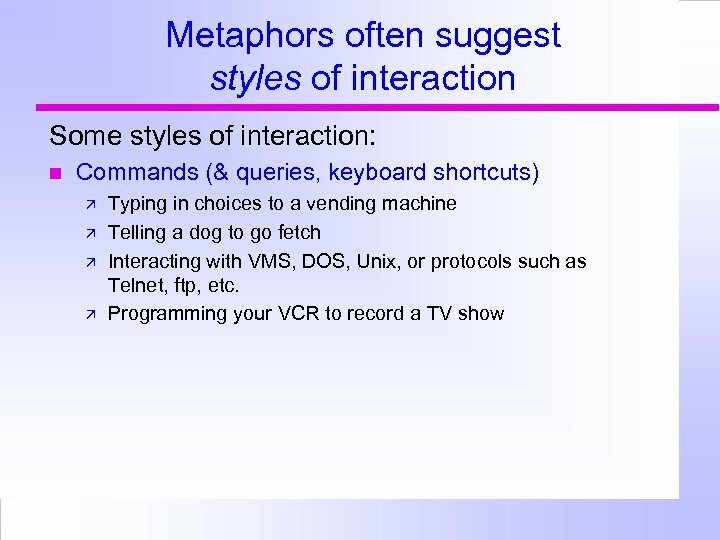 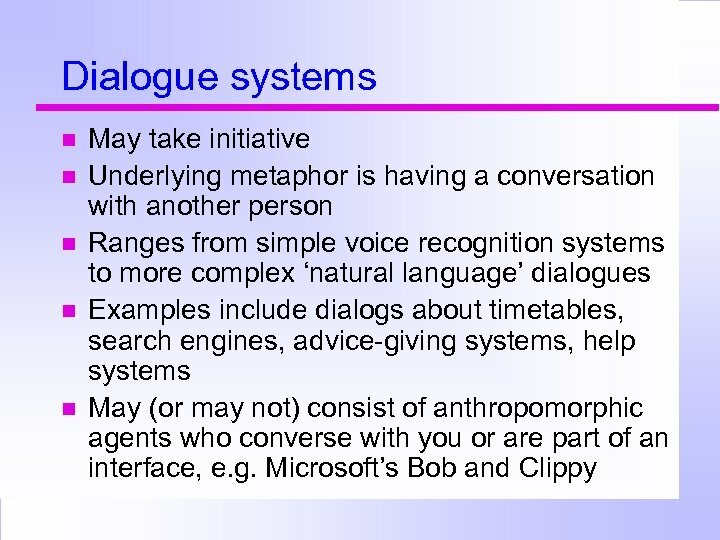 Choose the right interaction style and the right metaphor Understand how the system works. 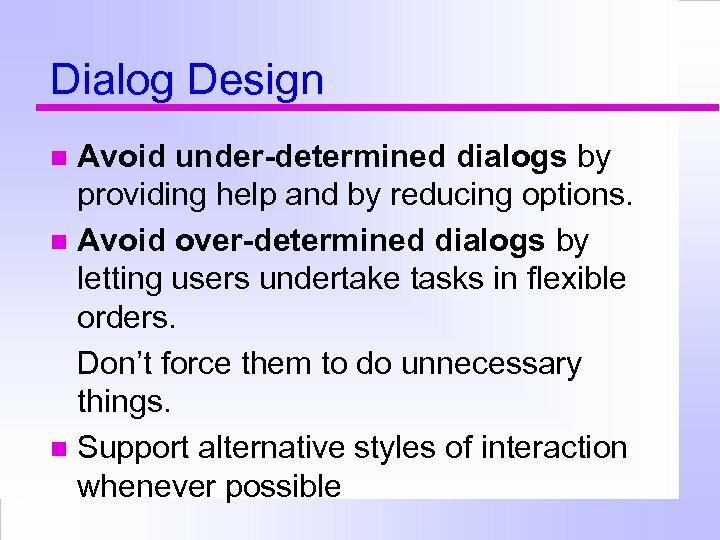 (use the system yourself) (ask engineers) Figure out what problems users have. 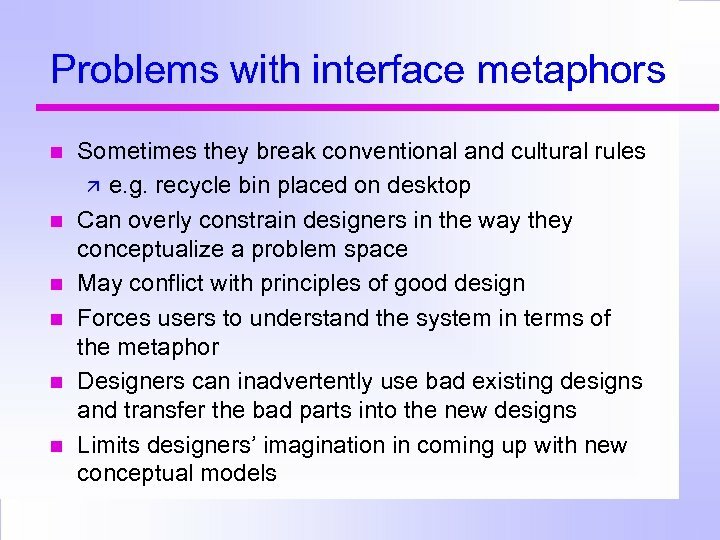 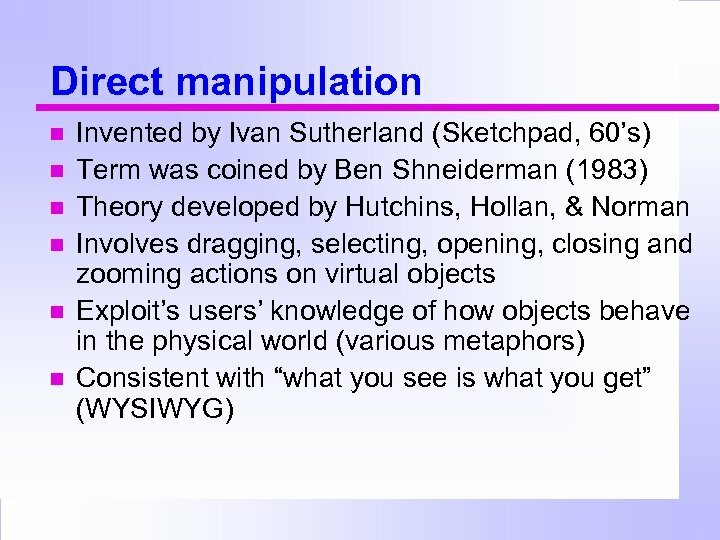 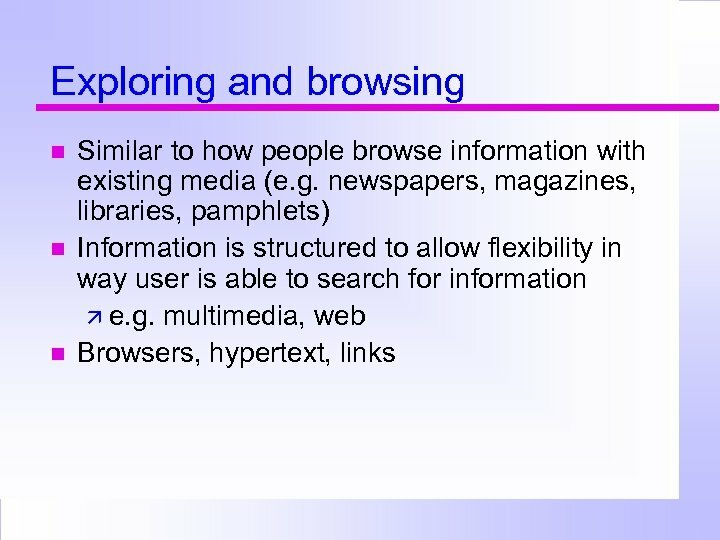 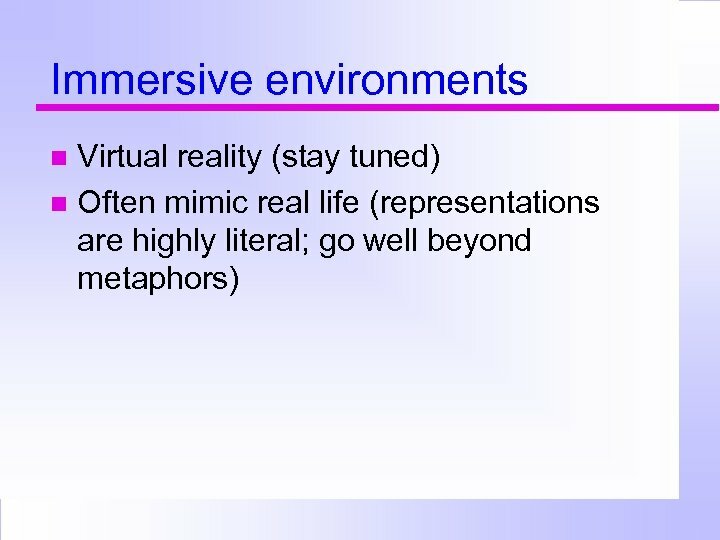 (watch them use similar systems) (create prototypes and watch users) Generate metaphors and examine their properties. 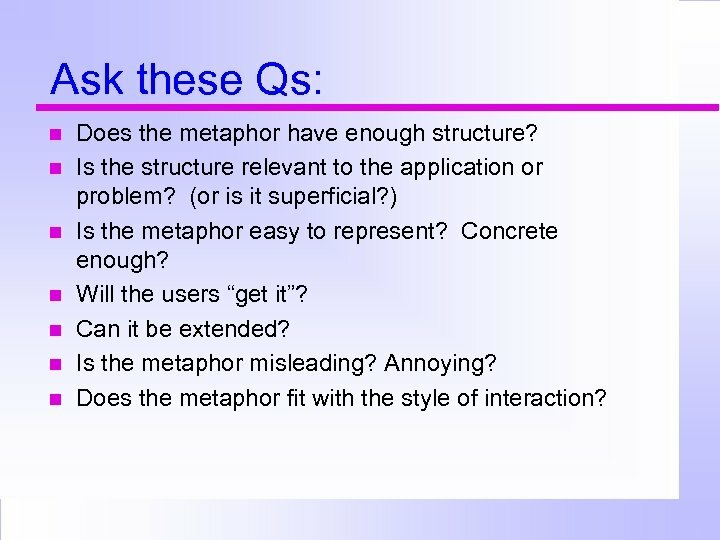 Ask these Qs: Does the metaphor have enough structure? 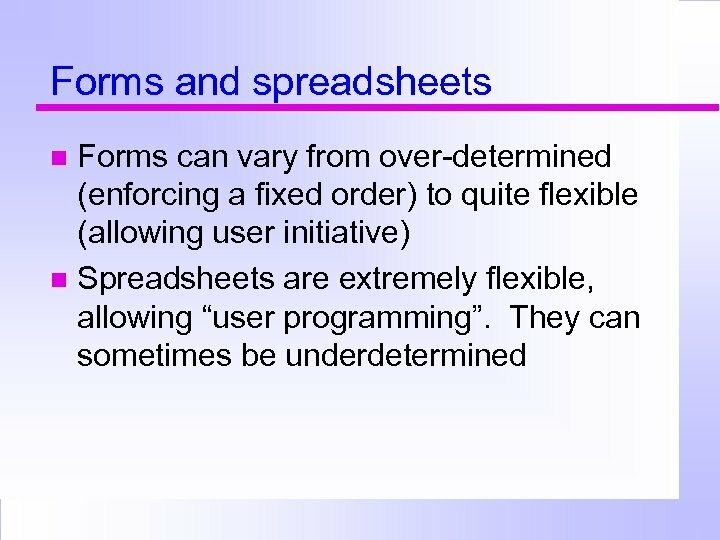 Is the structure relevant to the application or problem? 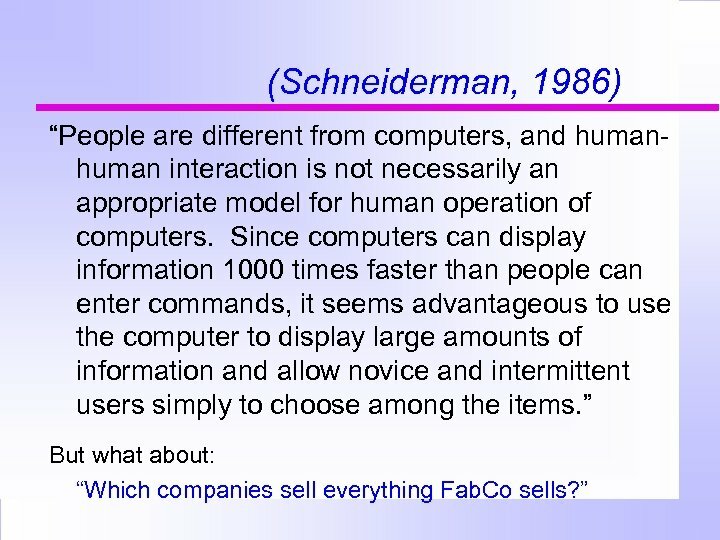 (or is it superficial? ) 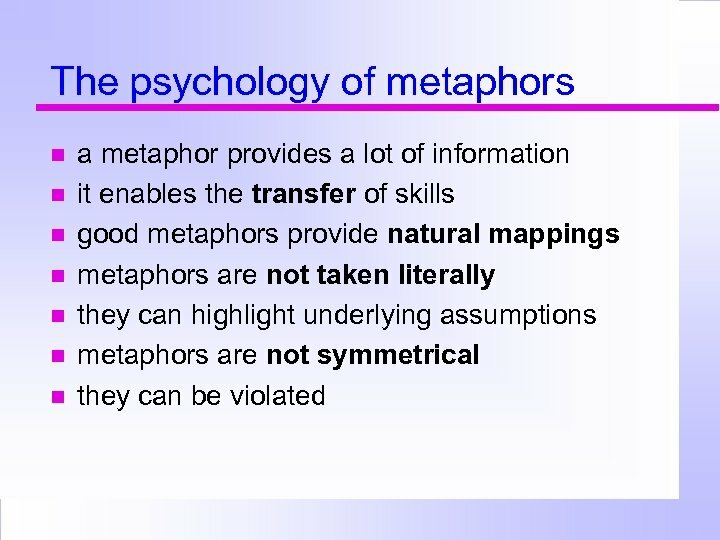 Is the metaphor easy to represent? 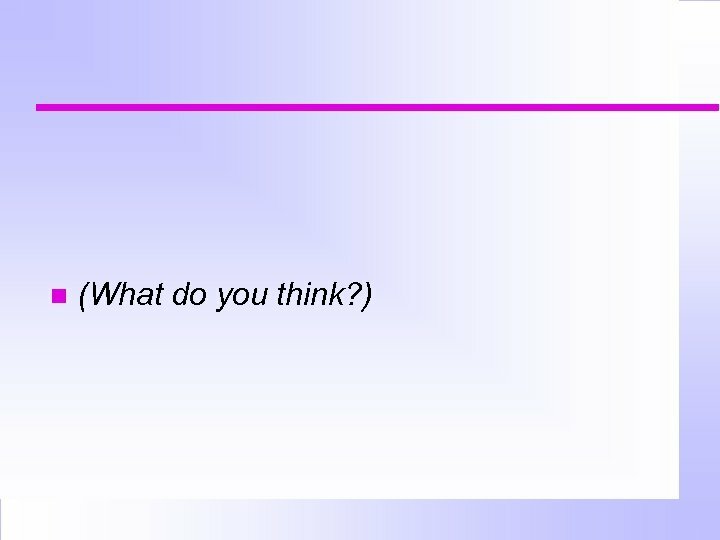 Concrete enough? 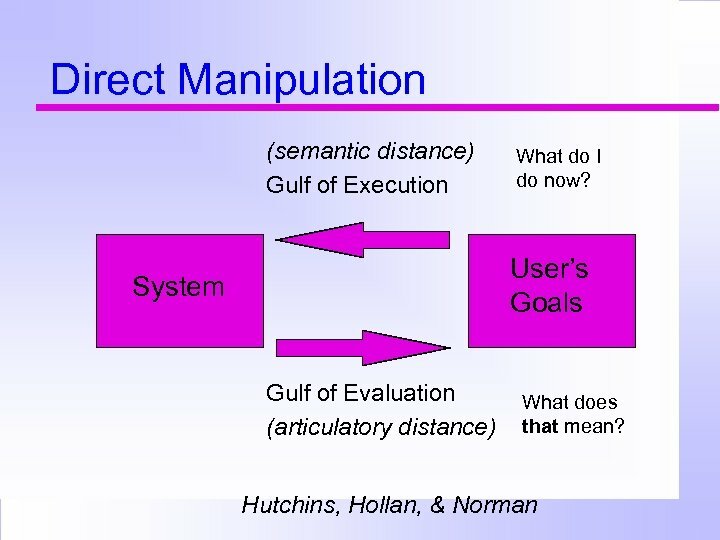 Will the users “get it”? 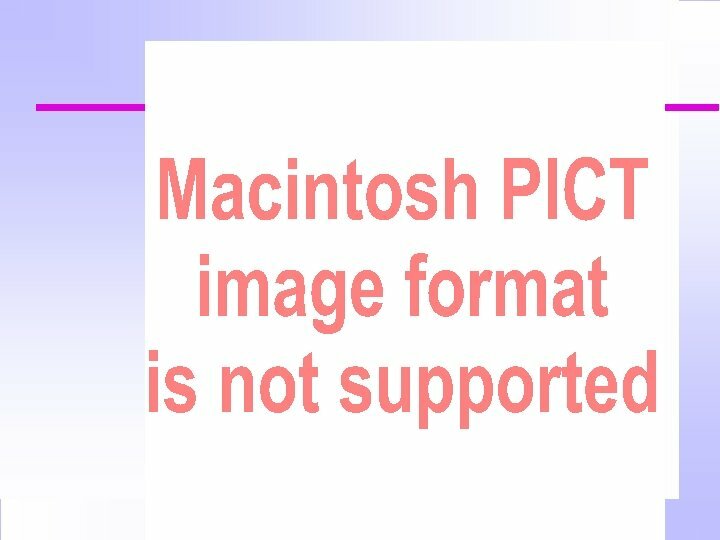 Can it be extended? 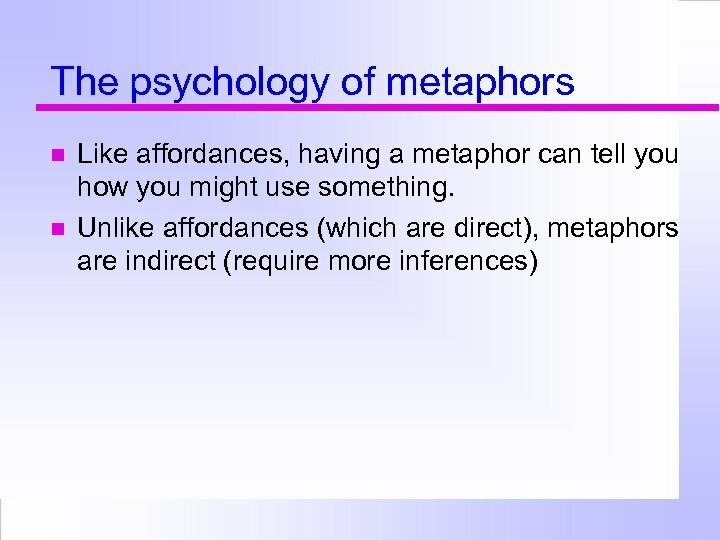 Is the metaphor misleading? 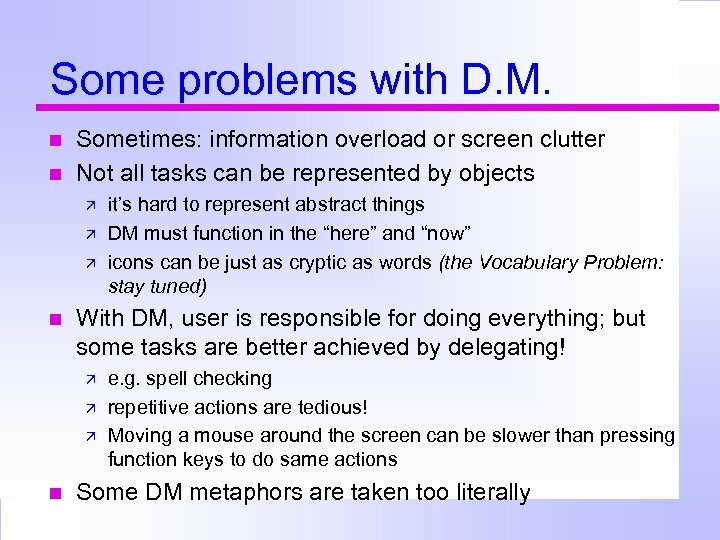 Annoying? 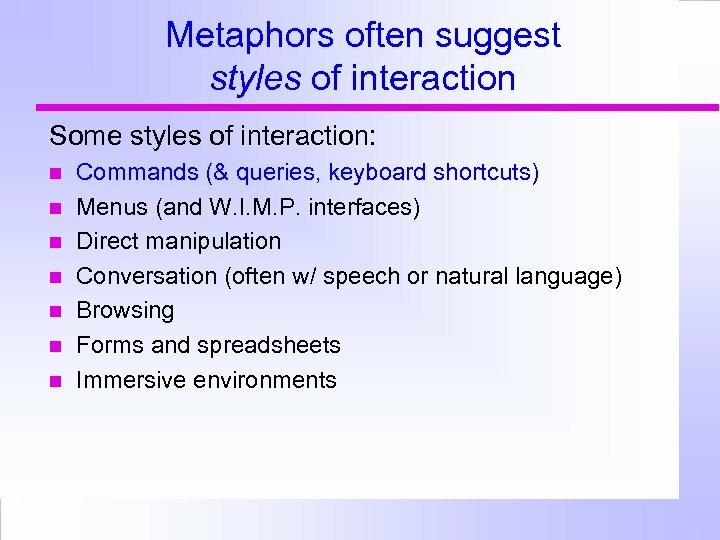 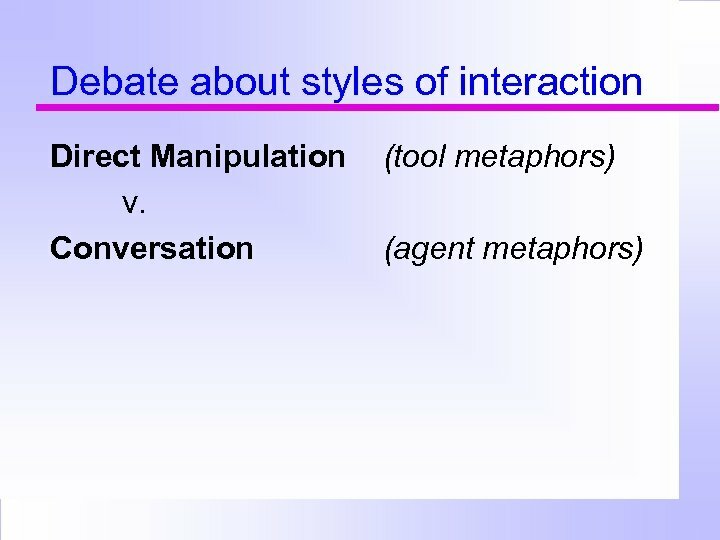 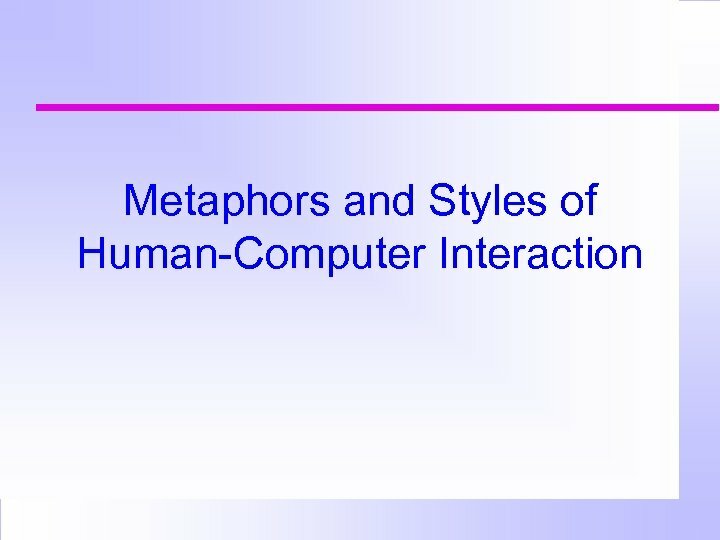 Does the metaphor fit with the style of interaction?